Once cars can finally drive themselves, we’ll have more time to enjoy the journey and do other, much more interesting stuff instead. At least that’s the concept behind some of the designs below, developed by retail giant IKEA’s “future living lab,” SPACE10, based in Copenhagen. The design studio/research lab came up with designs for autonomous vehicles that would be extensions of our homes, offices, and local institutions. Some of its seven ideas, shown below, are almost practical. Who can’t imagine autonomously driven cafés or pop-up stores? In fact, they already exist in California—in the form of self-driving cars that have groceries stocked in their back seats. Other concepts might need a bit more thought, particularly the ones that SPACE10 envisions delivering resources to underserved communities. It may be difficult, for example, for a self-driving health clinic to bring medical care to truly remote areas. Decision making is heavily hampered by internal politics, since failure may lead to a loss in the strength of individuals and departments. You need to be aware of these limitations and be prepared to act on them. If the domain that the decision is going to affect is under scrutiny due to recent and relevant failures, then certainty needs are likely to be higher than if the domain had recently risen to resolving a particularly important challenge. On the other hand, if the department has a new leader, it may be more open to experiments and be willing to try out new things. Most of the companies that are shareholder-centric are risk averse and require special attention when dealing with uncertainty. Typically higher in older companies, company Inertia has a lot to do with the type of organization and the type of industry in which the company operates. Traditional industries have typically more inertia, while a startup has low inertia. Inertia is also affected by legislation and regulation. As the rest of the tech industry has focused on robotic cars and other contraptions that can navigate roads and warehouse floors, Boston Dynamics, which is owned by the Japanese conglomerate SoftBank, has plugged away at machines that can walk through the woods, into a rock quarry, across your home. “These robots can climb stairs,” said Sangbae Kim, a professor of mechanical engineering at the Massachusetts Institute of Technology who is working on similar machines. “They can jump on a table.” But if driverless cars are still years away from everyday use, walking robots are even further. Though these machines are shockingly lifelike, they have limits. They can handle some tasks on their own, like spotting a curb and climbing over it. But when moving across unfamiliar spaces, like the parking lot outside the Boston Dynamics lab, they still need a human guide. In person, they stumble and fall more often than they do on YouTube. Walking through the Boston Dynamics lab, Mr. Raibert, 68, wore bluejeans and a Hawaiian shirt, as he does nearly every day. He wants to build robots that can do what humans and animals can do. The patch is made from a thin sheet of silicone elastomer. A small lattice of electronic "islands" connect to each other, each of which contains electrodes and tiny devices called piezoelectric transducers which produce ultrasound waves as electricity passes through them. These electronics are connected through a web of copper wires which are able to bend and stretch in order to conform to the texture and curves of human skin. The ultrasound waves are able to penetrate the body and record blood pressure readings as deeply as four centimeters below the outer layer of the skin. As blood vessels pulse, the movement of blood is recorded and converted into waveforms. "Each peak, valley, and notch in the waveform, as well as the overall shape of the waveform, represents a specific activity or event in the heart," the academics say. "These signals provide a lot of detailed information to doctors assessing a patient's cardiovascular health." The most important foundation of any business is trust. Cryptography-based Blockchain eliminates third-party intermediaries as the trusted keeper. It will decrease the cost of overheads when parties interact with one another online without the requirement of middleman or central authority. 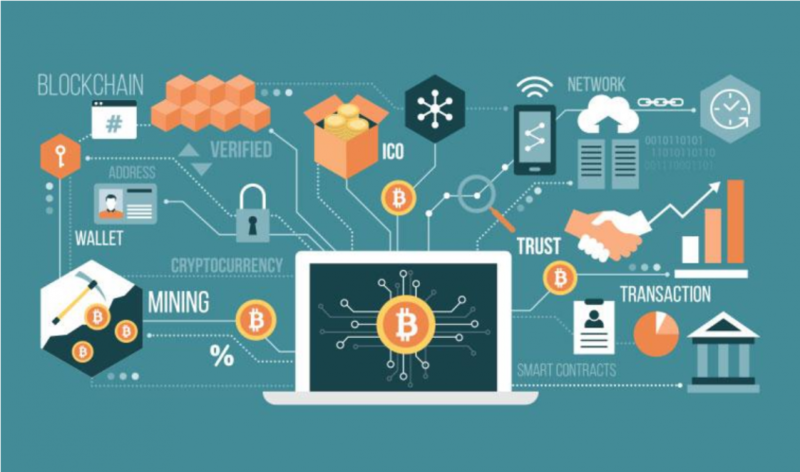 Blockchain improves the processing speed of the transactions because it reduces the decision-making time across the board in financial companies with minimal human intervention. It reduces duplication that arises while keeping records, errors, and reconciliations and frauds, leading to quick settlement and payment. In case of an event such as earthquake, flood, or war at a location, the remaining Blockchain participants can accept a transaction. Blockchain helps financial institutions handle the issue of identity theft as users have full control over the transactions. It safeguards the merchant from risks involved in frauds as once performed the transactions cannot be changed and do not contain any important personal detail. First of all, it is necessary to understand that the DPO must have legal knowledge. This conclusion follows directly from Article 39 of the European Regulations, which lists the tasks and missions of the DPOs. To a greater extent, they are, of course, lawyers. In addition, they should be lawyers who have strong management skills and due to technical expertise, that is, managers. Less often, the DPOs are IT experts who have only basic ideas about the law. However, this situation is typical of Western countries. The IT specialists dominate the personal data protection market, not the lawyers. Either way, large corporations, of course, prefer to hire some specialists to provide IT security and others for personal data protection. Small and medium businesses are trying to make a choice in favor of just one employee competent in both areas. Why does it happen? The answer lies on the surface: the GDPR places a wide variety of responsibilities on companies. Digital agility includes practical development of digital capabilities for use within a nimble digital infrastructure that allows speedy insights and action. ... Insurers must develop InsurTech capabilities at all operational layers – real-time data capture at the customer interface supported by advanced analytics tools – to enable real-time insights and digital execution to allow streamlined operations. Real-time data capture can help insurers build a rich database of customer information and deep insights critical to the development of innovative, timely, and personalized offerings. However, for real-time data to be beneficial, it must be supported at the data layer with advanced analytics tools that can process it and extract actionable insights. Finally, digital execution and automation ensure that the real-time insights are acted upon promptly, as even small delays can have substantial consequences in today’s dynamic and competitive marketplace. With emerging technologies like machine learning, developers can now achieve much more than ever before. But this new power has a down side. Only recently, Facebook’s Chief Executive apologised in front of the European Parliament for not taking enough responsibility for fake news, foreign interference in elections and developers misusing people’s information. Google then announced its Pentagon AI project, triggering a dozen resignations from its development teams. When writing code, where does your responsibility start? And where does it end? Are your only options to stay and get on with it or quit? When we talk about ethics - the principles that govern a person's behaviour - it is impossible to not talk about psychology. One major field has contributed the most when it comes to researching this subject: Social Psychology, or the study of human behaviour in social situations. It aims to explain why we behave in a certain way in certain circumstances.